I love this homemade cordial. 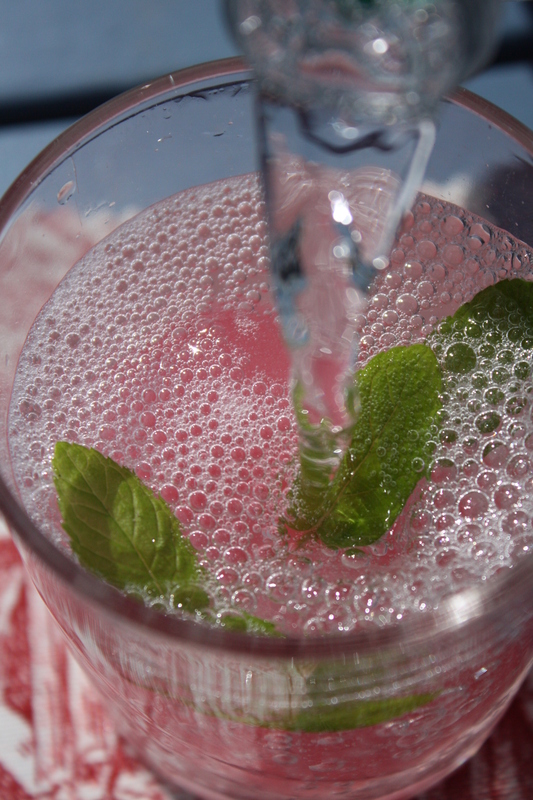 With rhubarb from the garden, our own honey and cool sparkling water, this drink is both sweet and tart, and uber-refreshing, all at the same time. You can keep the cordial in the fridge or freeze it in an ice cube tray to add to sparkling water, soda water or indeed prosecco for the grown-ups. 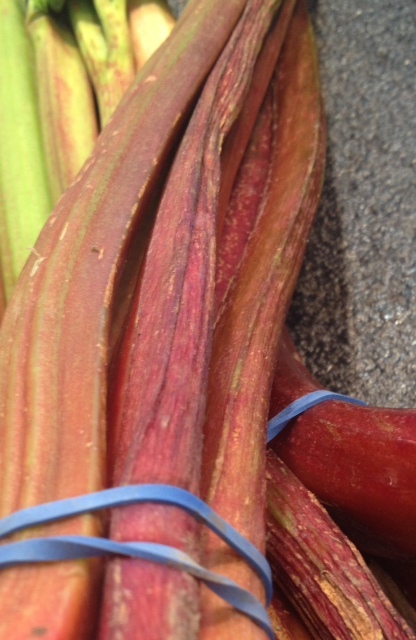 This week I made a point of checking out rhubarb in a couple of supermarkets. I wanted to compare my bunches on the Surplus Stall with what I found in the supermarket. Oh sweet Lord God, I nearly died of shock when I saw what was on offer. This bunch (right) was for sale for €1.69 in Dunnes Stores earlier today. Lidl was cheaper at 99c and not quite as dead, but still it wasn’t great. I didn’t check any other supermarkets but now I know why my rhubarb disappears from the gate so fast. If this does not encourage you to grow your own rhubarb nothing will. 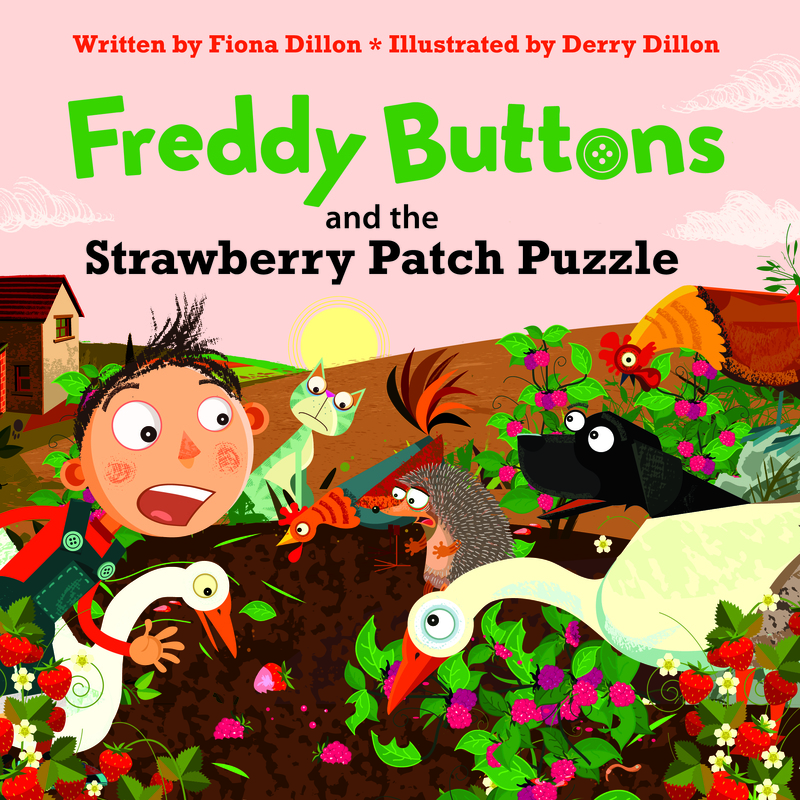 You’ll find full details on how to have your own supply of fantastic rhubarb in “Food from an Irish Garden” (shameless plug!) But seriously, it’s so incredibly easy to grow and there’s no reason why you shouldn’t have your own supply to make rhubarb tarts, rhubarb & custard ice-cream, rhubarb preserves and of course, rhubarb cordial. 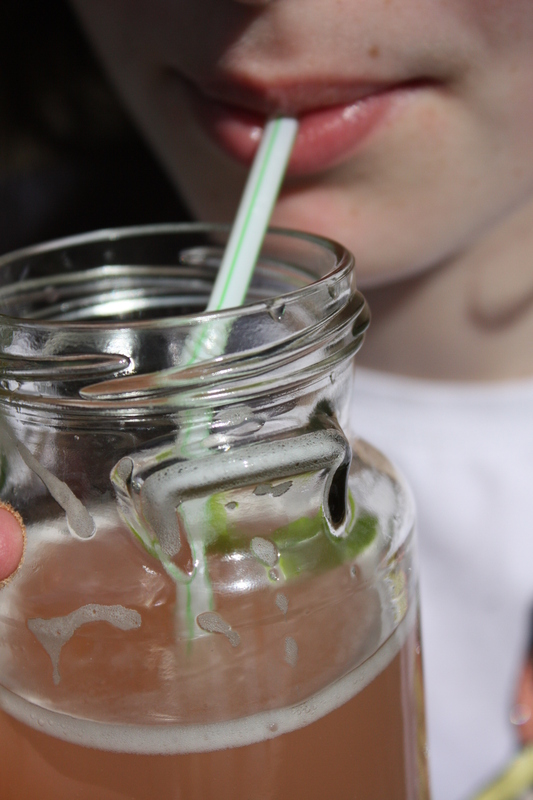 We are not fans of elderflower cordial here much preferring the sweet tartness of rhubarb and honey. I have created a very simple method that works for us. 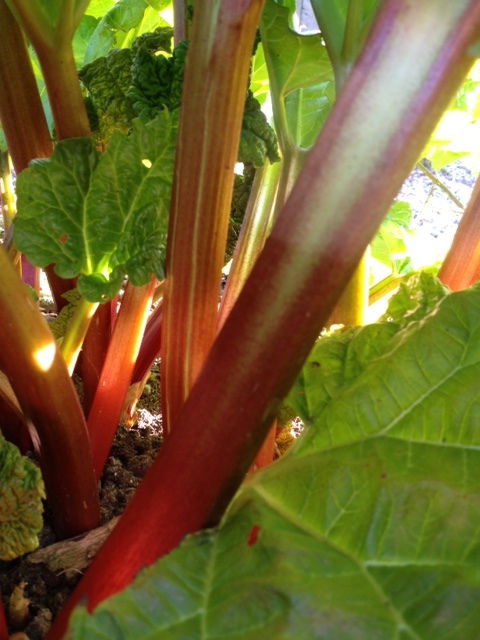 For every stalk of rhubarb, I use one generous tablespoon of pure honey and 75mls of water. This should yield approx 150mls of cordial. Add 1 generous tablespoon of pure honey per stalk. Then add 75mls of water per stalk. Bring slowly to the boil, then simmer gently for about 5 minutes until the rhubarb is soft. Place a sieve over a bowl and pour the contents of the pot into the sieve. Set aside for a couple of hours until all the liquid has drained off. Don’t be tempted to press the liquid out (seemingly this gives you a very cloudy cordial), just leave it alone and let the liquid work it’s way through. 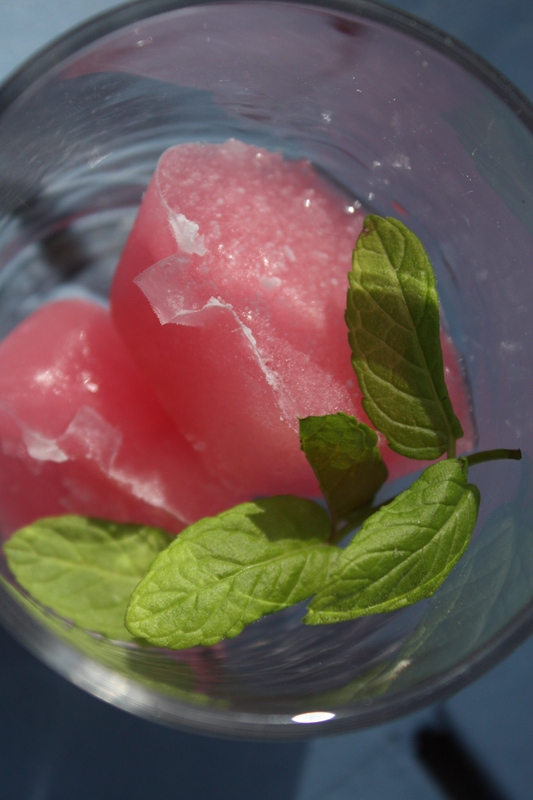 Then all you have to do is bottle the cordial and keep it in the fridge for up to a week or pour the cordial into an ice-cube tray and pop in the freezer until required. Dont throw out the rhubarb in the sieve, eat it on it’s own or with some delicious Glenisk organic yoghurt. The finishing touch is some mint from our Welly Wall…. “Food from an Irish Garden” is in bookstores nationwide. To book Fiona for a “back to basics” talk email fiona.dillon@hotmail.com or phone 085 1057314. « A Picture tells a thousand words.. I have amended “comments”,Fiona.You may be able to now 🙂 Thanks. This is a recipe that I’m using regularly at the moment….